The ANC on Wednesday called on public protector Busisiwe Mkhwebane to investigate her predecessor for releasing details of her interview with President Jacob Zuma. The party wanted to know if Thuli Madonsela acted unethically and violated the Public Protector Act, spokesman Zizi Kodwa said. Mkhwebane had said leaking the audio recording of the interview was in contravention of the act, The Citizen reported on Wednesday. Kodwa said that, by making the interview public, Madonsela had undermined the reputation and credibility of her own investigation into state capture, and that of the public protector’s office. He said she could have submitted her interview with Zuma during a judicial review into her report. 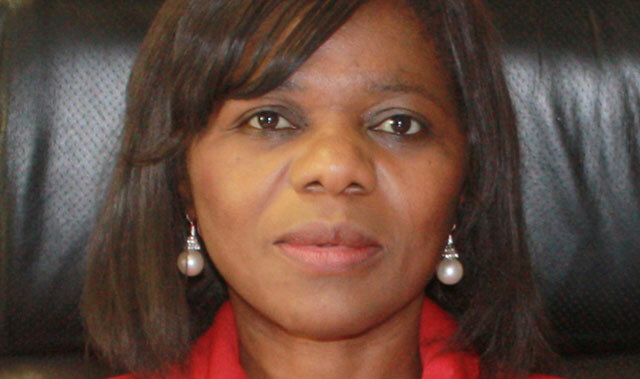 The Citizen reported that Madonsela had told the Association of Black Securities Investment Professionals’ annual conference that she did it to demonstrate that Zuma had been given a chance to answer questions during her investigation. He claimed she did not give him the opportunity. In her State of Capture report, released last Wednesday, Madonsela looked into allegations that the Guptas, a family with close ties to Zuma, had influence over some state-owned enterprises and was involved in the appointment of ministers. She recommended that Zuma institute a commission of inquiry into her findings. On Monday, the presidency said Zuma had lodged a complaint with Mkhwebane about the release of the interview. Seems like Zuma is in bigger s+*t than we imagined if this is the desperate type of nit picking BS the ANC have stooped to in a vain attempt to keep him from a trial on numerous corruption charges. As someone said, scraping the absolute bottom of the barrel. The brown stuff is coming, and they cannot stop it. No mention of the fact that JZ said he was not offered the opportunity to engage with Thuli – twit. Typical ANC misdirection strategy. Bring on the 2019 elections and a new government. Viva. Jeez, is this a bad sci fi movie or what, everyone is “probing” everyone else, and the brown stuff sort of nails it. lies and corruption. Nothing will stop the people of South Africa from voting in a proper “Democratic Government” Mr. Zuma and his cronies must go!!! Madiba said: “If the ANC does to you what the apartheid government did to you, then you must do to the ANC what you did to the apartheid government.” Yes, it is time for change. 2019 is too long to wait – if this crew carry on like this, there will be nothing left in SA, as everything will have been stolen, including the trust of South Africans … and in any case, does anyone really believe that Zuma will bow out gracefully when he reaches the end of his second term in office? > It is time for change!!!! Jacob Zuma must go! Not at all. The longer Zuma stays, the more likely the ANC is to lose the 2019 election. Let’s keep Zuma until the last moment, and have a complete change of government. Enough of this “democratic revolution” nonsense. Let’s have some real democracy for a change.